The Donegal chef’s PoshBurger Bistro had reportedly not paid staff just a month after opening. FORMER MICHELIN-STARRED chef Conrad Gallagher has closed his PoshBurger Bistro in Las Vegas, just three months after it opened to the public. The Letterkenny restaurateur had opened the restaurant in the Summerlin area of Vegas in April, but within a month it was reported that staff were not being paid. Within two months of opening, a local butcher had claimed he wasn’t being paid and another vendor reported the restaurant to the district attorneys office. The restaurant had been serving $29 Kobe burgers with truffle aioli, seared foie gras and frizzled onions and had garnered praise from Vegas food critics. John Curtas of Eating Las Vegas said that PoshBurger offered ‘the best hamburger Vegas neighbourhoods have ever seen”. 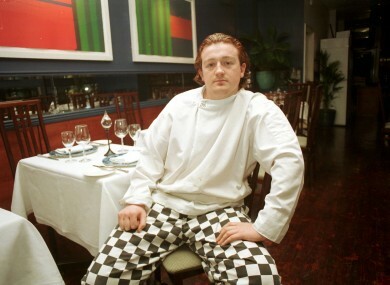 The mercurial chef, who became the youngest chef to win a Michelin Star for his work at Peacock Alley in Dublin, has seen a number of restaurants close in recent years, with his Salon Des Saveurs on Aungier Street and his Sligo venture, Conrad’s Kitchen both closed in 2011. PoshBurger was due to be the first step in a Las Vegas empire which would have included a gourmet food store and wine shop; Gallagher The Grocer. Email “Conrad Gallagher shuts Las Vegas burger restaurant”. Feedback on “Conrad Gallagher shuts Las Vegas burger restaurant”.